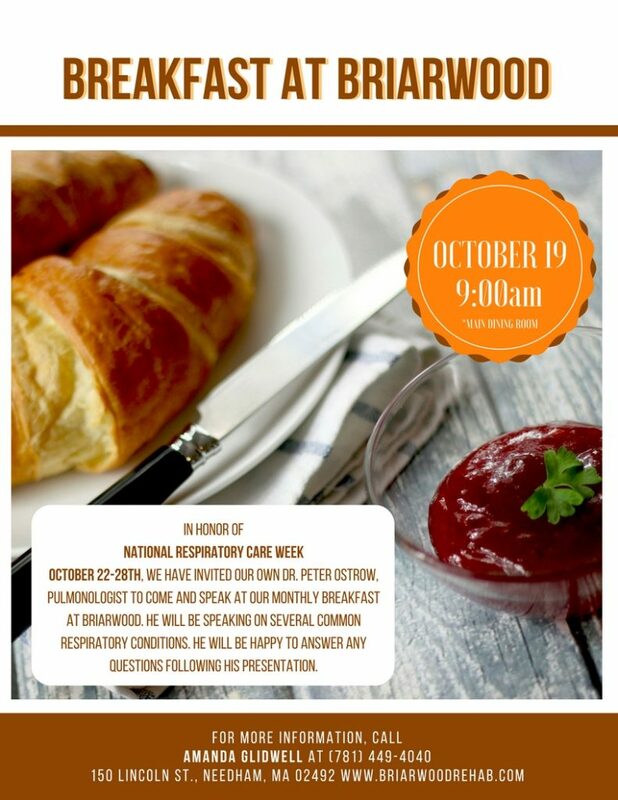 In honor of National Respiratory Week October 22nd-28th, we have invited our own Dr. Peter Ostrow, Pulmonologist to come and speak at our monthly breakfast at Briarwood. He will be speaking on several common respiratory conditions. He will be happy to answer any questions following his presentation. What is Respiratory Care Week? Respiratory Care Week is an annual event that was created by the American Association for Respiratory Care that recognizes the respiratory care profession and raises awareness for improving lung health around the world. For further information about this event please call, Amanda Glidwell (781) 449-4040.